John Lyon’s Charity has a small staff team who can be contacted on the email addresses below. Lynne joined the Charity in April 2017. 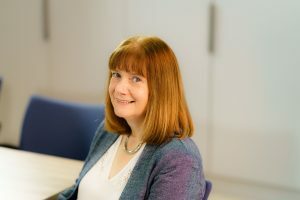 Lynne holds a Doctorate in Economics from Cambridge University and had a career in banking until 2012, including senior positions in RBS Investment Bank, Barclays Capital and Accenture. Prior to joining JLC, Lynne was Co-Chief Executive of Royal Botanic Gardens, Kew Foundation. 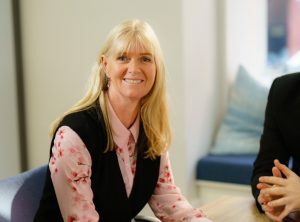 As Chief Executive of John Lyon’s Charity, Lynne provides strategic leadership for both long term management of the Charity’s endowment and oversees the direction and focus of grant giving in the Charity’s Beneficial Area. Cathryn is the Grants Director at John Lyon’s Charity, a role she has been in since 2007. She has been instrumental in the development of the Charity since it started giving grants in the early 1990s. Cathryn leads on the strategic development of the Charity’s core purpose in grant-giving and manages the Grants Team to run effective funding processes. 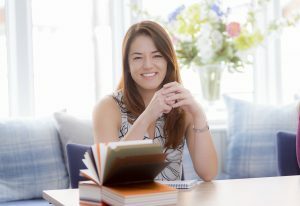 Cathryn is particularly interested in helping schools work with mental health professionals to develop effective models to assist with children’s resilience and emotional wellbeing. She also works closely with large Arts institutions to bring creative learning to the heart of their work. Lloyd has been with John Lyon’s Charity for over twelve years. He is responsible for and has oversight over all aspects of the day-to-day management of the charity’s finance function. 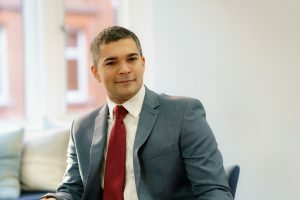 Lloyd spent many years as a Senior Manager at the law firm Pemberton Greenish where he specialised in the administration of grant-making charitable foundations, trusts and estates, including the provision of related accounting, compliance and tax advice. Anna has been with John Lyon’s Charity for thirteen years and has been the Grants & Communications Manager since 2007. Her primary areas of expertise include arts and music projects, projects that provide opportunities for young people with special needs and/or disabilities and childcare initiatives. Anna is also responsible for the Charity’s marketing and communications including the website and Annual Report. Clare joined the Charity in April 2018 as Interim Senior Grants and Communication Manager while Anna is on maternity leave. Clare has previously covered interim roles for other grant making trusts. Her primary expertise is in supporting grass roots and neighbourhood based organisations gained through working in, and being a trustee of, a range of voluntary sector projects. Erik has been with John Lyon’s Charity since 2008. He is responsible for maintaining the close links between the Charity, the local authorities in the Charity’s Beneficial Area and Central Government. Erik also nurtures relationships with other external organisations and sits on the boards of London Funders and CVS Brent. For the last four years, Erik has been leading on establishing the eight Young People’s Foundations the Charity supports. His grant-giving focus has been on working with BME groups, supplementary schools and youth clubs. 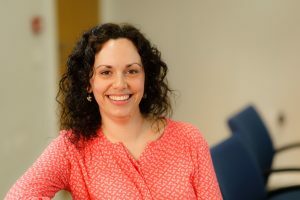 Karen joined John Lyon’s Charity in May 2018. 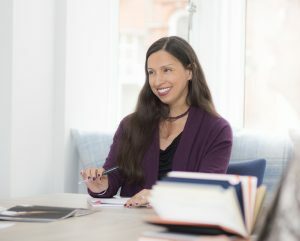 Prior to joining the Charity she spent over six years working at The Funding Network where she was responsible for the external operations and subsequent grantmaking. As a result, she has wide-ranging knowledge of the sector, particularly focussed on small not-for-profit organisations. Karen is also a trustee of a small charity based in South London and on the advisory board of an education not-for-profit organisation. Debbie joined John Lyon’s Charity in July 2017. 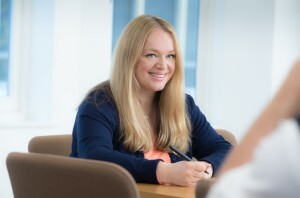 Working alongside the Senior Grants Managers, her role involves grants processing and monitoring, in addition to supporting the marketing, publications and communications of the Charity. Previously Debbie ran a national emergency fund, providing small grants to families and individuals following brain injury. Her experience also includes volunteering as a Gateway Assessor for Citizens Advice and coaching Back to Netball. 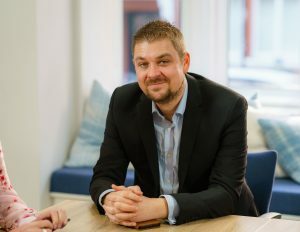 Matt joined John Lyon’s Charity in June 2018. As Partnerships and Capacity Building Officer, he supports the organisational development of both groups and the seven Young People’s Foundations in the Charity’s Beneficial Area. Matt has experience of local capacity building and community investment, having worked at two local authorities in the Beneficial Area. His background includes sport and physical activity development at local, regional and national levels. Nicky joined the team at John Lyon’s Charity in October 2016. 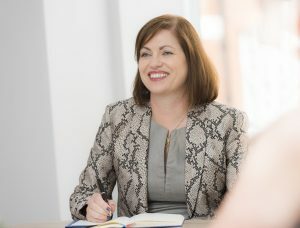 Her previous roles have included national training coordination for both the business and charity sectors, as well as PA and office management. Nicky is responsible for the Charity’s grants administration throughout the whole grant cycle from initial proposals through to final reports. Susan joined the Charity in March 2018. 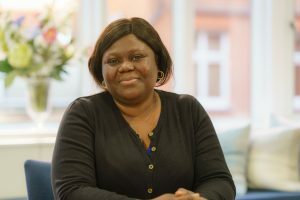 Working alongside the Finance Director and Grants Administrator, she is responsible for to maintaining the day-to-day running of the finance and payment systems, producing reports and providing analysis. Susan has most recently worked within the Finance Department of a charity that supports the alleviation of poverty. 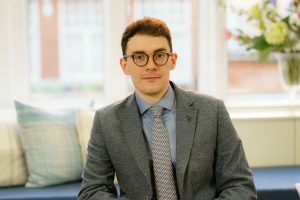 Chris joined the charity in April 2018, having graduated from the University of Leeds in October 2017. 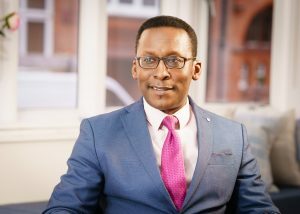 Prior to joining the Charity he spent time undertaking research for an international Non-Governmental Organisation and working within the hospitality sector. Chris is responsible for assisting the Grants Team in processing new applications, queries and administration, as well as maintaining the effective day-to-day running of the Charity’s office.